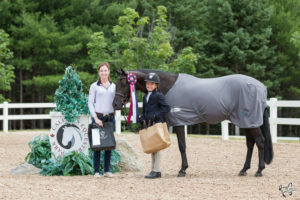 The Equestrian industry is unique from so many others and at Henry Equestrian Insurance Brokers, we recognize the need to create custom tailored insurance products that truly meet those unique needs. We have a very close relationship with all of our insurers and all of our insurance products are developed in collaboration with industry professionals from different areas of the horse industry to ensure we can provide the most comprehensive coverages available. We are always available whether you are a client or not to provide quality and relevant advice regarding insurance options and risk management procedures. Henry Equestrian Insurance Brokers Ltd was founded by long time equestrian and Jump Canada Hall of Fame inductee Doug Henry as a specialty brokerage for all types of equestrian insurance including horse mortality, equestrian farm, liability, coaching, veterinary, and truck and trailer insurance to name a few. The brokerage is now part of Secure Insurance Solutions Group Inc. and offers a full variety of personal and commercial lines products as well. We have always believed strongly in being a part of the equestrian community and giving back where we can. Our recent partnership with Equestrian Canada is a direct result of the personal involvement of our brokers in our local horse industry. We are extremely excited and proud to announce our role as the Official Insurance Provider of Equestrian Canada and the Canadian Equestrian Team. Our partnership with Equestrian Canada will allow us to service our clients on a larger scale but with the same intimacy. This partnership will help members access our insurance products in a more convenient and user-friendly ways, as well as allowing us to continue to reach out and support the equestrian community. We strongly believe that the synergy between EC and Henry Equestrian’s objectives will help both organizations achieve our goals of providing the best possible service to EC members and equestrians across the country, from grassroots to professionals in the Olympic ranks. We are proud to promote the fact that we don’t just serve horse people we ARE horse people. Many of our brokers ride regularly, compete at our local competitions and are involved with all sorts of horse related activities outside of their work at Henry Equestrian. It is because of this that we assure you that when you speak to our representatives, they truly understand each and every situation you may be facing with your horse.